Dimension: 1360X1010X1490 Grease automated control system using Siemens Siemens PLC programmable controller and a computer to control the temperature in different periods, the palm oil slowly crystallized points separated the different control precision can reach ± 0.2 ℃ produce different melting palm oil. ; Company development and production of all intelligent cooling equipment. 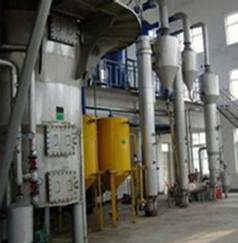 can be dry sub formulation of proposed 10 ℃ .16 ℃ .20 ℃ .24 ℃ different high-grade soft fat palm oil stearin and 50 ℃. 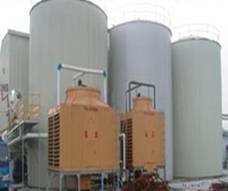 The control system uses PLC and computer networking, for fuel oil level, oil temperature, heating, cooling, filtration, purging, cooling water, chilled water switch, operating parameters such as flow velocity of flow state fully automated monitoring of all Human computer interface display, single may complete the operation independently. proposed 10 ℃ .16 ℃ .20 ℃ .24 ℃ different high-grade soft fat palm oil stearin and 50 ℃. 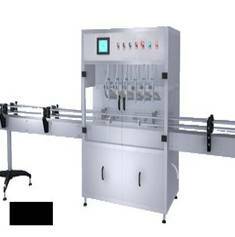 The control system uses PLC and computer networking, for fuel oil level, oil temperature, heating, cooling, filtration, purging, cooling water, chilled water switch, operating parameters such as flow velocity of flow state fully automated monitoring of all Human computer interface display, single may complete the operation independently. Air pressure :0.5-1 .0 Mpa This model is powered flowmeter type filling machine is suitable for vegetable oils, lubricants, chemicals high viscosity liquid quantitative filling. Filling specifications and filling volume adjustable vacuum suction device to ensure that the production process does not drip glib, two-speed (after the first fast-slow) filling, flow rate can be adjusted freely, to prevent the liquid from the foam spills, foot-switch to start, so glib landing, filling, rising once auto-complete, simple, and quick. 6. beautiful appearance, high filling accuracy, easy to adjust, easy to operate.